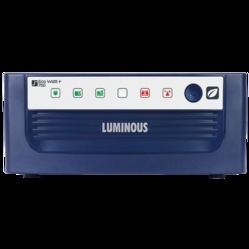 Offering you a complete choice of products which include luminous 10 kva cruze, luminous 1050/12v ecovolt, luminous 1650/24v eco volt, luminous 2kva/24v cruze, luminous 7.5kva/120v cruze and luminous 750/12v eco volt inverter. 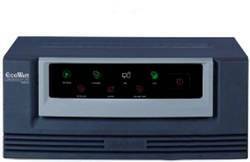 Comprehensive protection against short-circuit, reverse polarity, battery over-charge, deep-discharge etc. Safe for sensitive appliances with Sine wave out-put. Three Stage Charging for safe & efficient charging and longer battery life. 4-step battery type selection. Intelligent water level indicator to help track battery water level without any hassle. Special designed for Indian power conditions with rugged technology design for high performance and longer back-up time. 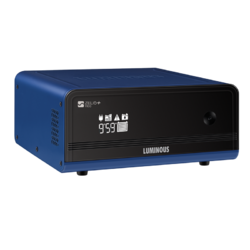 Supports the ECO Mode (180V to 260V) for safety of sensitive appliances & UPS mode (extended voltage range) for reduced battery usage. Eco Watt series is the No. 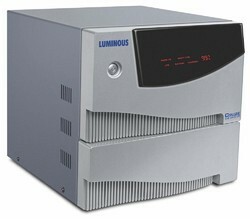 1 selling Home UPS of Luminous. 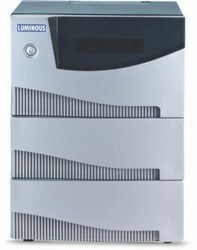 Extra load handling capacity to run more loads than other UPS of similar ratings. 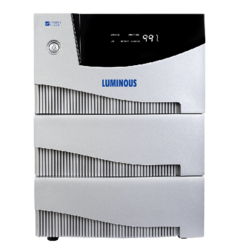 Looking for Luminous Inverter and UPS ?